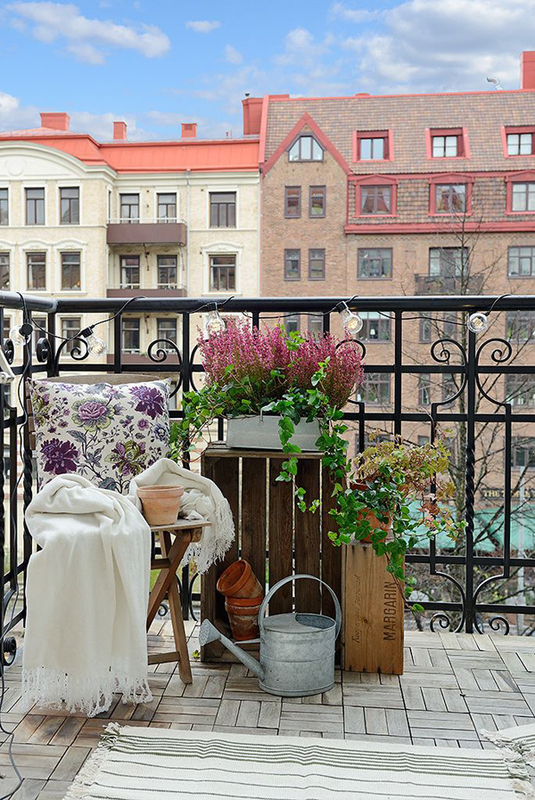 The perfect terrace: How to decorate? 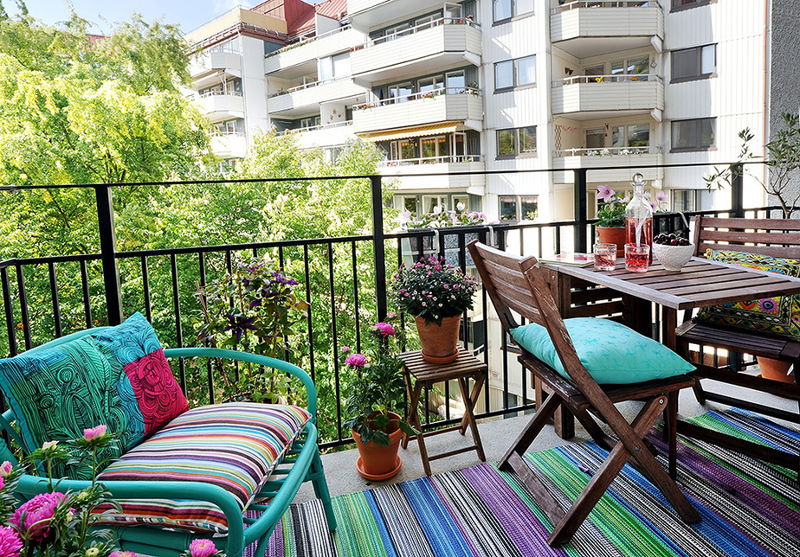 Author SpainHouses.net (2)Published on July 5, 2018 July 4, 2018 Leave a comment on The perfect terrace: How to decorate? 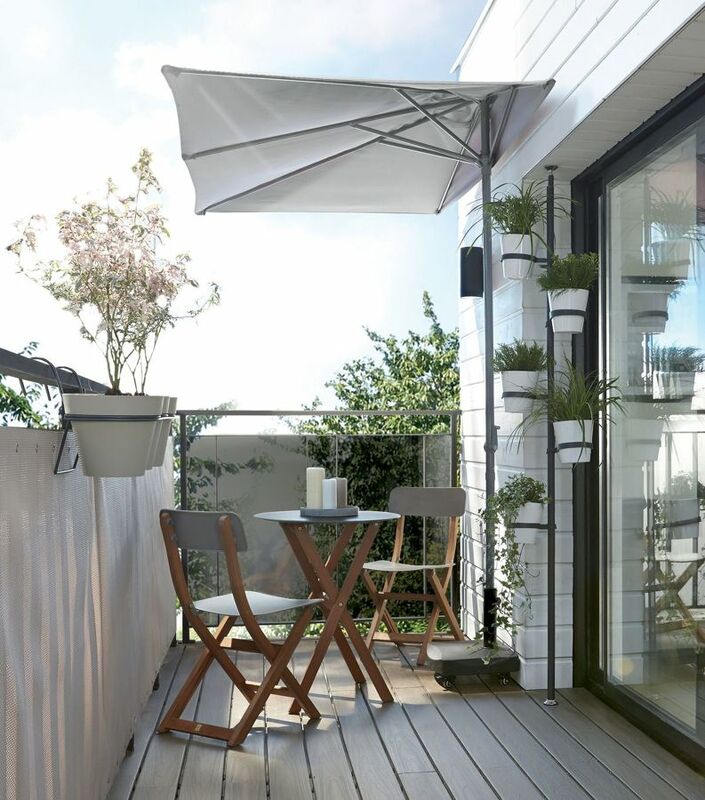 The summer arrival is synonyms of terrace, spend time outdoors and enjoy the good weather at any time. 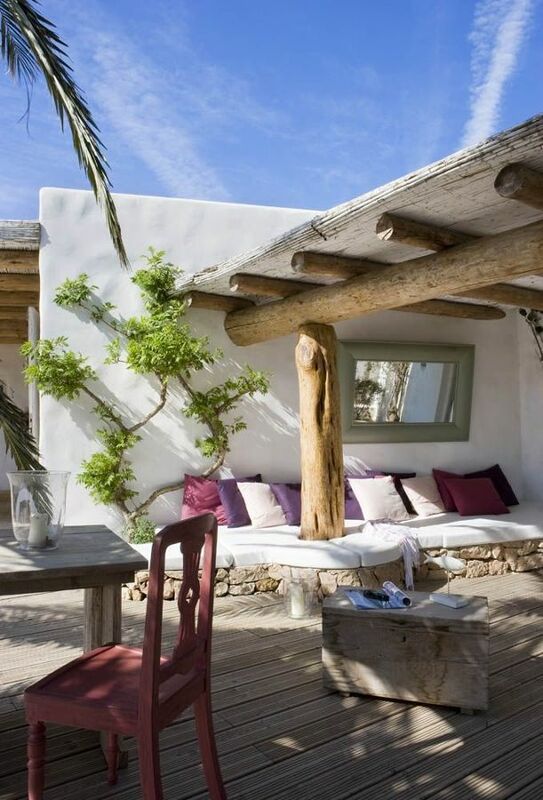 The terraces are the most luxurious things we can have at home that's why we should take care and enjoy it. 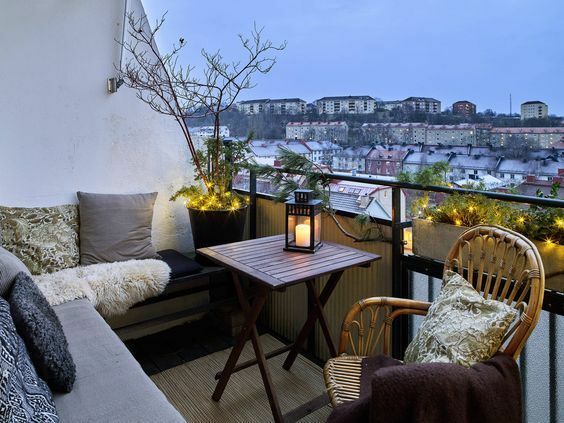 Is the moment to tune-up it, first we have to understand that there aren't little terraces, even the most little room can make into a hideout full of charm. If you don't know what to do with this space, take note of these keys that we give you next to get a perfect atmosphere. 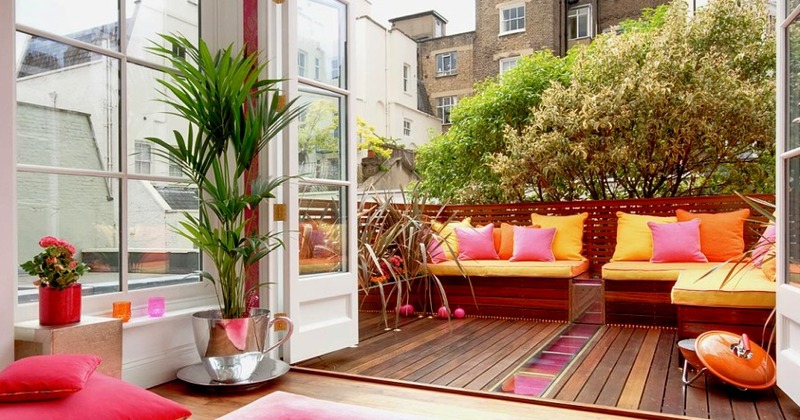 Think about the main uses you are going to give it, especially if your terrace is little. 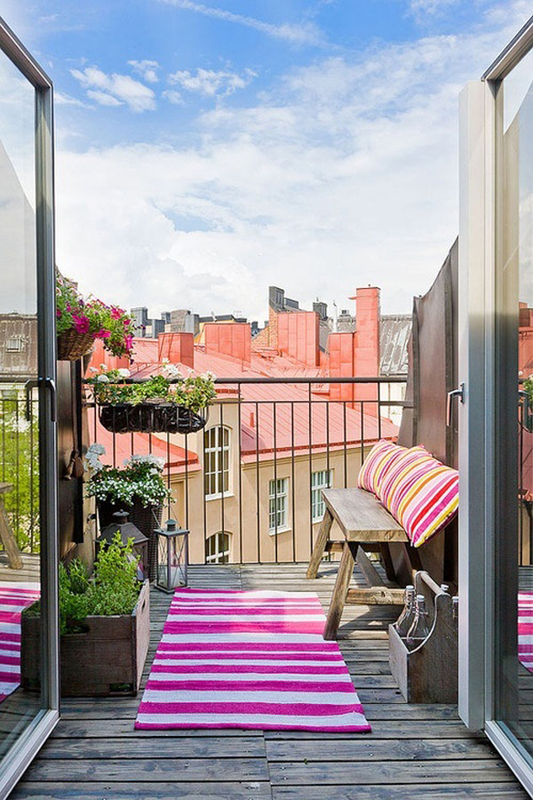 Allocate the main use to most of the space. 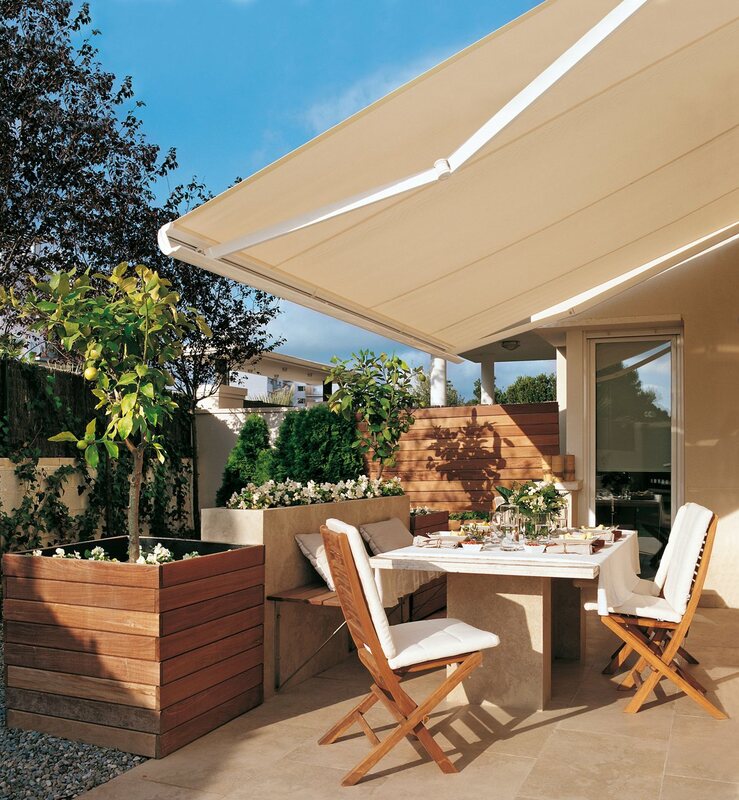 A maximum of two different spaces is appropriate and choose the ideal place for each area. Take measurements before and choose furniture adapted to space. 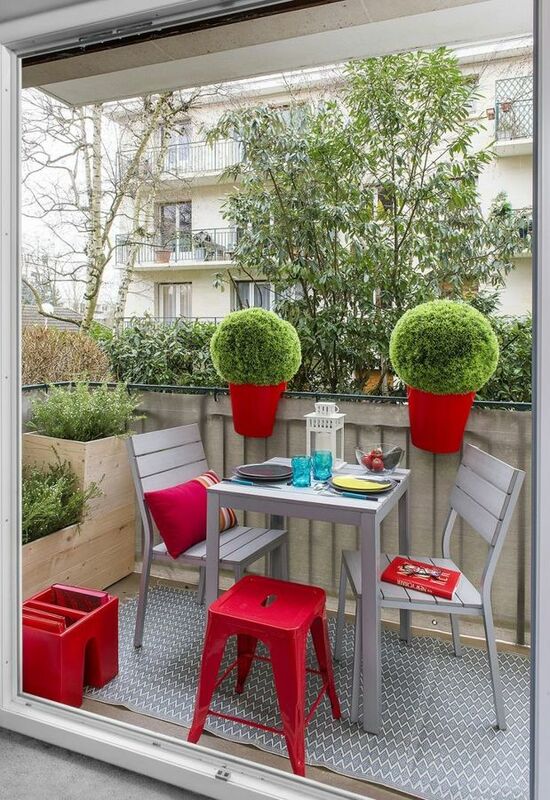 Terraces full of colour are 2018's trend, the ideal is to introduce it by accessories and some concrete piece. Don't forget either plants, colourful flowers, glasses and silverware that are imposed this season. 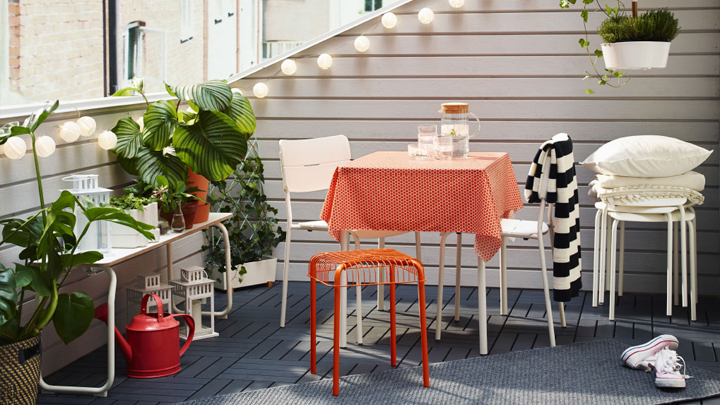 In addition to comfort, it will add well-being to your terrace while creating a very cosy space. 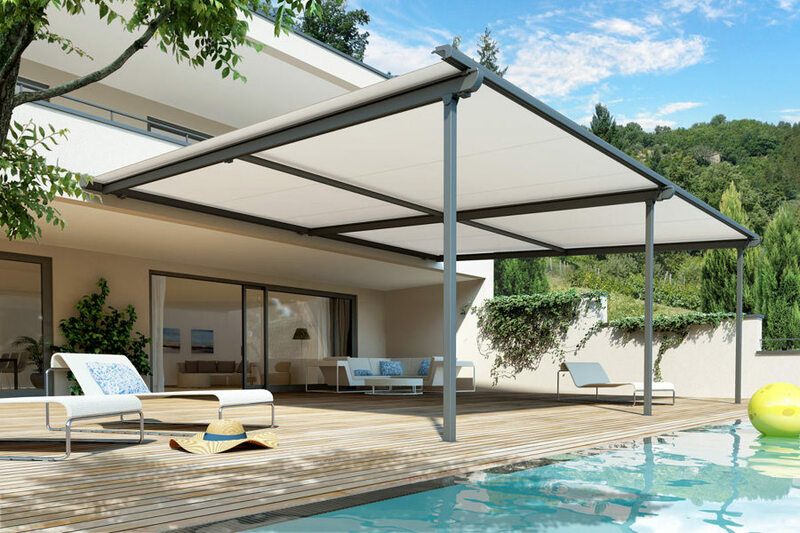 If your terrace is exposed to the sun, it will be indispensable to create shades areas, in small spaces, will be enough with a folding hood or sunshade, however, if your terrace is big, a wood pergola or aluminium pergola is a good option. 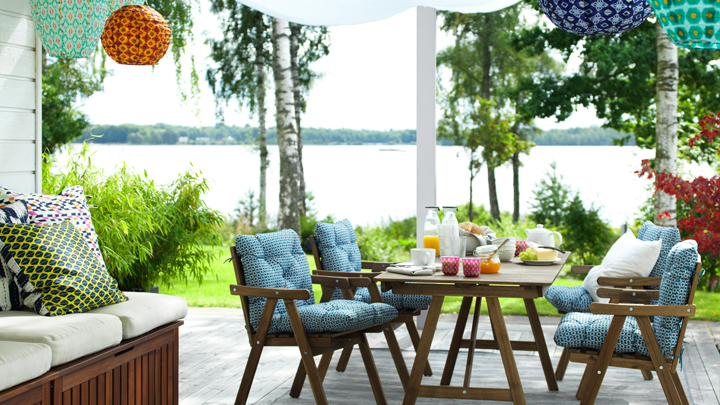 Furniture as important as textiles, these helps to improve the beauty of the outside. 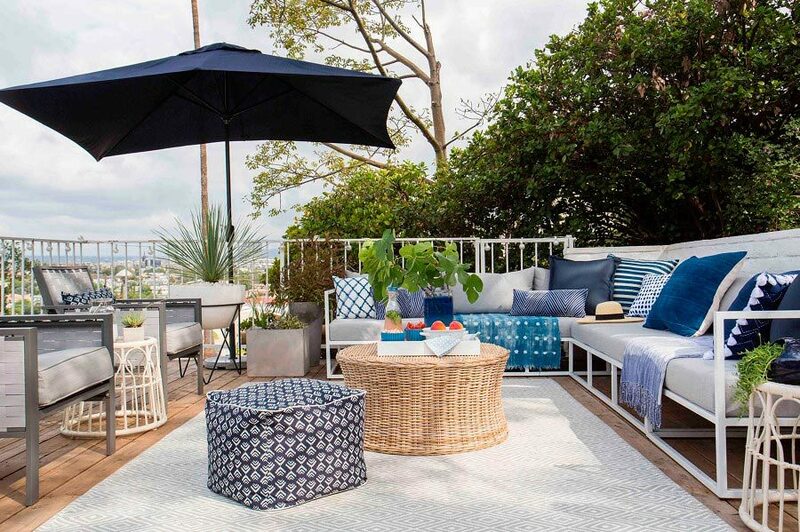 Use different textures and colour scheme, blue tones, white and grey are a wise choice, don't forget that sun wear fabrics and colours away if you don't want or don't have time for its maintenance, choose white textiles, this tone is the best holds outdoors. 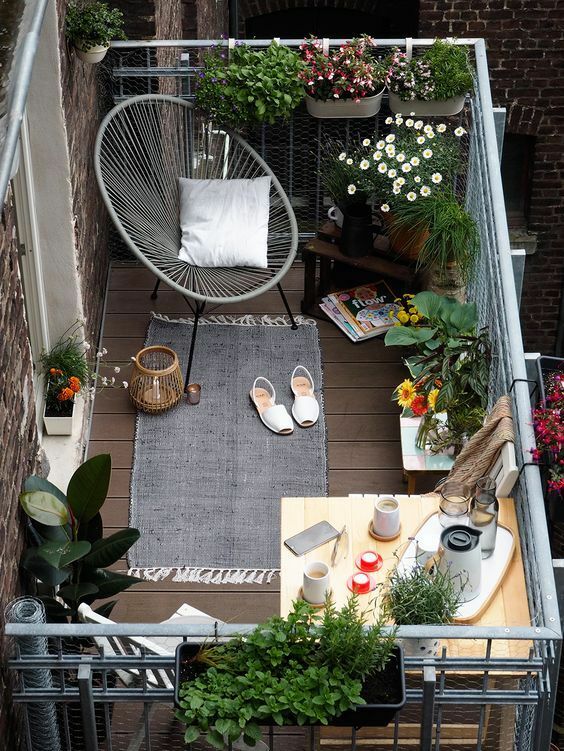 Plants are an element that contributes to making space seem larger, they give a lot of life and freshness, always choose the plants depending on the amount of sun that the terrace receives, the new trend is gardening in balconies in this way the space available is improved, creating style, there is a great variety of vertical gardens that allow you to cultivate different species. Another option is to group the plants in a corner, creating a "stair effect" with the large-leaved plants behind the small ones in front. Time available, choose plants and flowers according to the free time you have for your care, palm trees, cactus and ficus with resistant and easy maintenance. Size of the terrace, in large spaces all the plants will be fine, but if you have a small terrace combines green plants with others of small flowers, the terrace will look bigger. 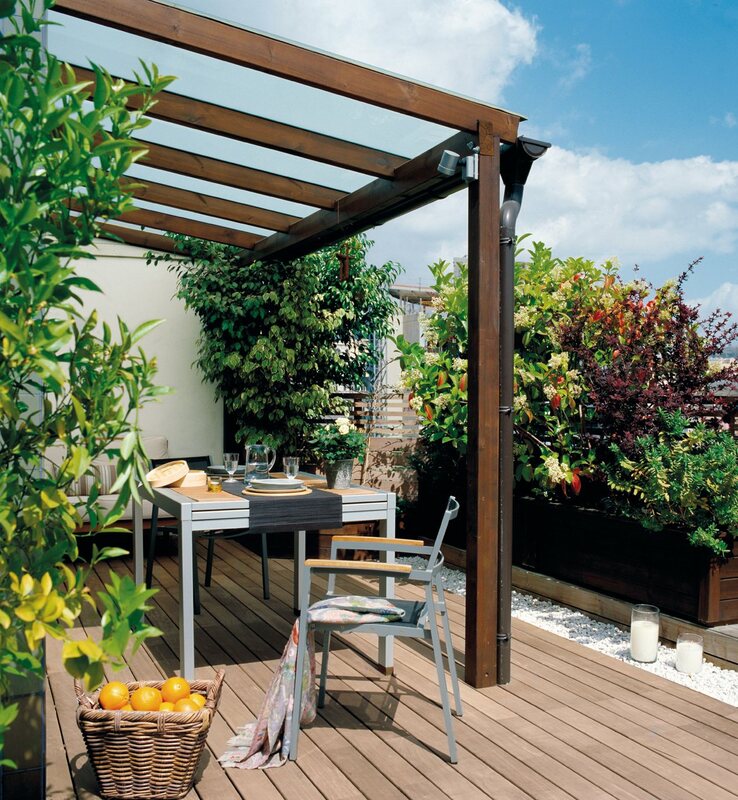 Wood and stone are the star elements of outside, both hold on changes in temperature and help you to combat the heat, also its look good on any terrace regardless of size. 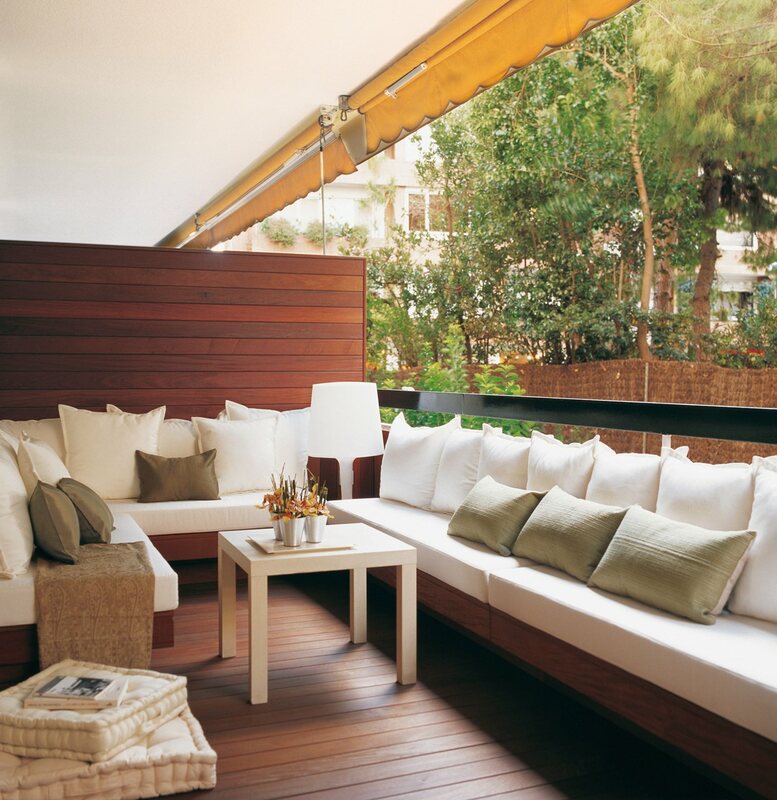 One of the trends in design are the ceramic effects wood floors, these resist scratches, stains and heat. Lighting is a novelty in terms of trends, create an environment that invites relaxation and rest. 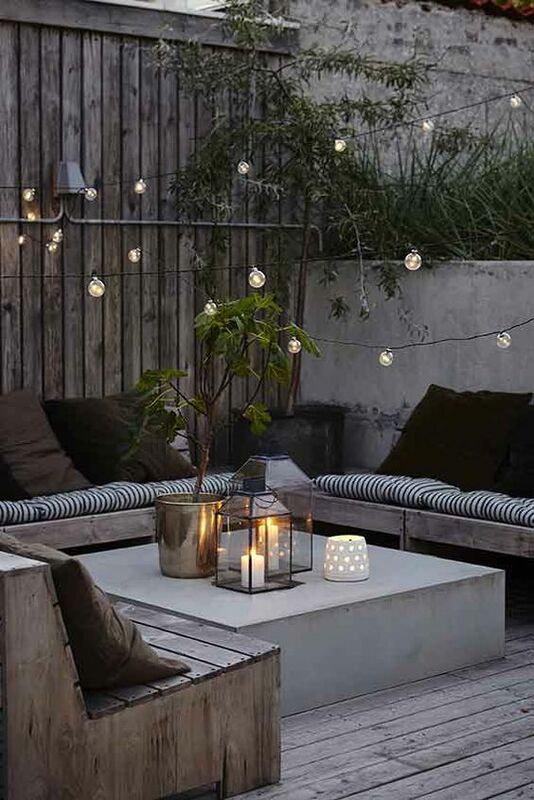 Install several points of light to enjoy the terrace at night, better a faint light, excessive light breaks the charm. Combine functional lighting with environmental lighting in this way your space will not stop being relaxing. And of course, do not forget the candles, which besides decorating, create a magical atmosphere. 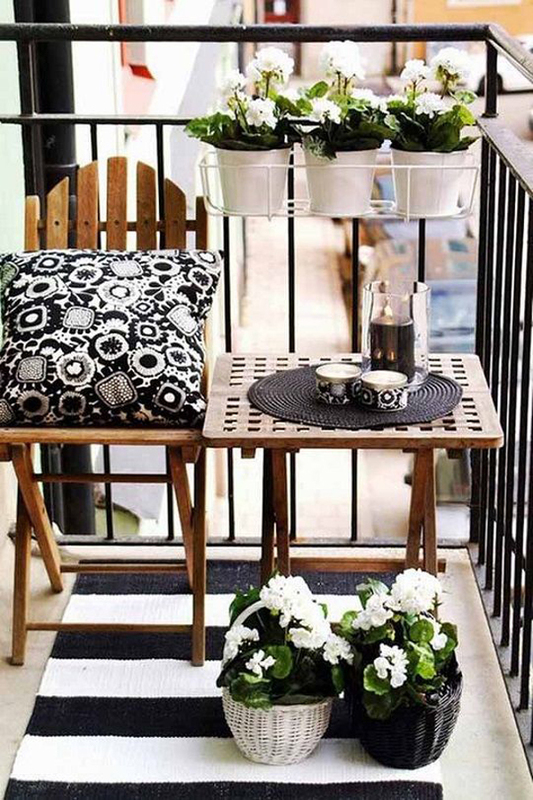 A carpet makes space looks very cosy, also highlights other elements such as cushions and plants. You have to know how to choose depending on the size we will obtain a perception of space or the opposite.